Regine Meunier is author of Pattern-Oriented Software Architecture, Volume 1, A System of Patterns, published by Wiley. 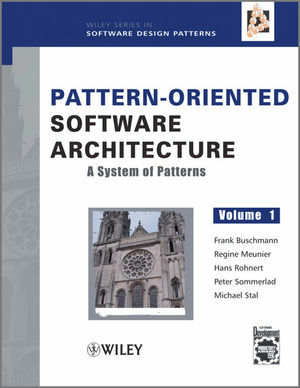 Hans Rohnert is author of Pattern-Oriented Software Architecture, Volume 1, A System of Patterns, published by Wiley. Peter Sommerlad is author of Pattern-Oriented Software Architecture, Volume 1, A System of Patterns, published by Wiley. Michael Stal is author of Pattern-Oriented Software Architecture, Volume 1, A System of Patterns, published by Wiley.